Yeah, but: It's an essential part of my kit. The Long Version: There are only so many things you can do with an off-camera flash cable. 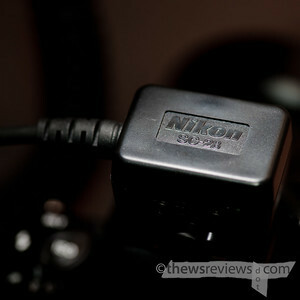 Nikon's kind enough to provide two main versions, which adds to the variety: the SC-29 has a red auto-focus assist light, while the simple SC-28 doesn't; the SC-28 can daisy-chain the plain SC-27 cable, while the SC-29 can't. Aside from that the two are identical and pretty basic. The camera connects on one end, the flash connects on the other, and the wires in between just do their thing. Nikon's published length for the SC28/29 is nine feet, which may be true but certainly isn't practical. The pig-tail coils are essentially springs, and exert increasing pressure as the length extends. Longer stretches are only possible when the flash is secured in place with stands, clamps, sandbags, or similar. 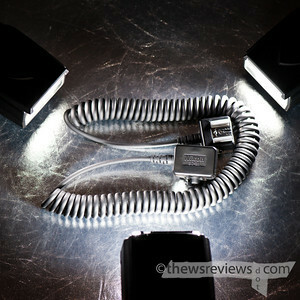 Even when the speedlight is secured, the coiled cable exerts pressure on the camera, making long distances unergonomic. Within those constraints, the flash cord is flawless and absolutely reliable. For a little added challenge, I checked the flexibility of the SC28 after it had been in the freezer for a couple of days. (I have to admit that I forgot it was in there – who keeps a flash sync cord in the fridge?) Plastics often stiffen in low temperatures, but I'm pleased to say that the Nikon cable did just fine. Interestingly the Olympus cable that I put in the freezer also retained its spring, and I suspect that they may have some common ancestry somewhere in their supply chains. The strength of Nikon's Creative Lighting System and iTTL control means that the SC-28 cable remains something of a specialist product. I'm a huge fan of the system, and continue to use to it make my gaggle of flashes play together, but adding the sync cable gives me another option as well as increasing the versatility of my SB900. I can now put my most powerful light where it can do its best work, effectively giving me an extra light without the expense of another flash, and still control three additional groups remotely. I can't say that the SC-28 improves my photography – that's my job – but it certainly gives me better options that I'm happy to use.